Studying English is a way to hone your skills in analysis, writing, and digital environments, all while expanding your understanding of the rich complexity and diversity of the world. Edgewood’s English Department is a place where you will be welcomed into small classes exploring vital issues with faculty who love to teach and have deep expertise in their fields. Employers prize the abilities of English majors, who succeed not only in capturing good jobs after graduation, but also in using their talents to build substantial careers. Right now Edgewood English graduates are working in marketing, journalism, education, library science, a wide range of non-profits, government, and publishing—and that is only a small sampling. Our majors and minors attend graduate school for Literature, Creative Writing, Journalism, Law, Library Science, Education, and are very successful in gaining admittance to other programs. The choice to study English is a practical one, but also a meaningful decision to pursue the larger truths. Here, you will read novels instead of textbooks, learn how to use language to express yourself, encounter ways of seeing the world from times and places that are completely new, and, ultimately, walk away with an education you will use for the rest of your life. ASPIRING WRITER SCHOLARSHIPS are available for qualified new students. If you like to write and are happy to take some English classes along the way, you probably qualify. Admission to the College and a portfolio review are required. 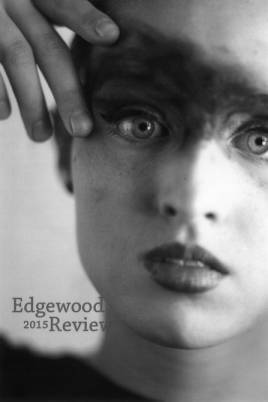 Please visit https://www.edgewood.edu/admissions/tuition-and-financial-aid/talent-scholarships for deadlines and more information. 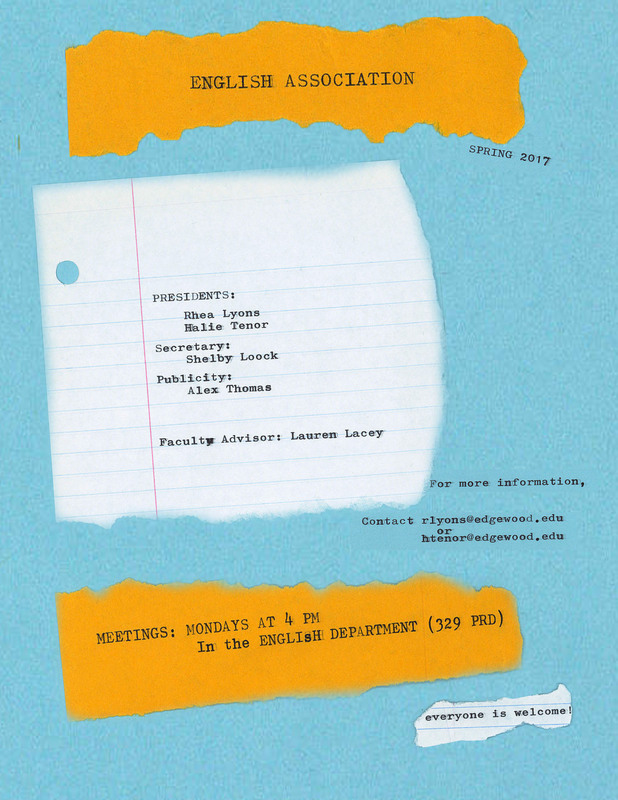 The English Association is an organization directed by Edgewood students under faculty guidance whose stated goal is to support the arts of writing, reading, critical thinking, and teaching, both on campus and beyond. Formed in the autumn of 2012, the English Association organizes events for English majors and minors to socialize, get information on career and post-grad opportunities, and foster a sense of community between the student body, the English Department faculty, as well as the greater Edgewood community. If you are interested in becoming a part of one of youngest and most exciting on-campus groups, contact Lauren Lacey.